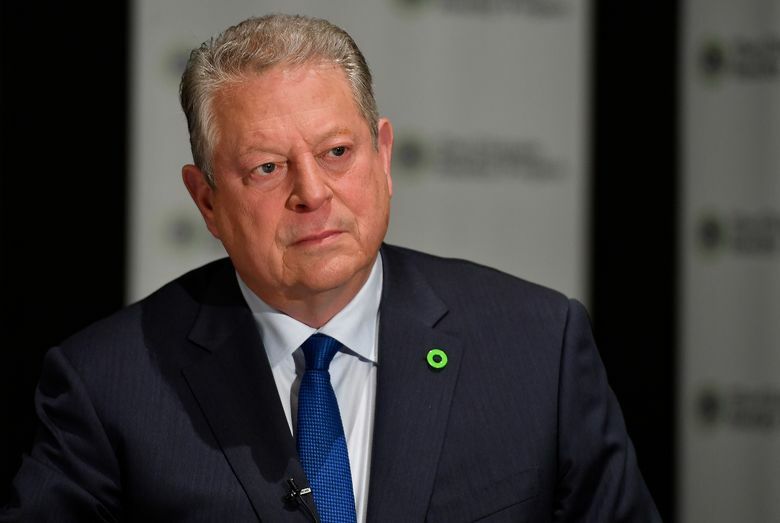 ATLANTA (AP) — Former Vice President Al Gore believes the U.S. is nearing a political tipping point, with the 2020 Democratic presidential field offering voters the chance to replace President Donald Trump with someone “committed heart and soul” to combating climate change. 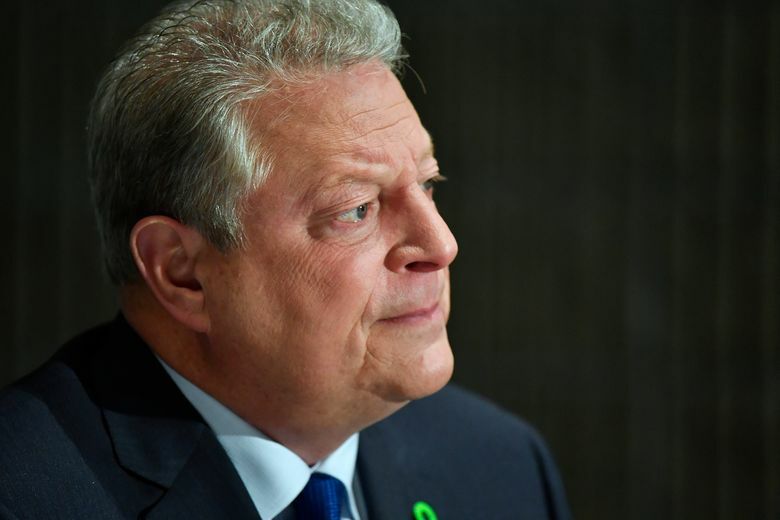 Gore, who emerged as a leading climate activist after losing the 2000 presidential election, told The Associated Press in a Friday interview that he won’t take sides in his party’s wide-open nominating fight. But he said he’s talked to several candidates privately and is “encouraged” by what he’s hearing publicly, noting that “at least 10” have declared climate action a top priority, while Washington Gov. Jay Inslee has put the issue at the center of his bid. Trump’s presidency “is unfortunate in so many ways,” Gore said, but he also credited Trump’s open contempt of the scientific consensus that human activity affects the Earth’s atmosphere with pushing many moderates and even some conservatives toward the more traditional liberal activists on the issue. Gore, 70, added that public opinion is moving so quickly that a new president could find the political muscle for sweeping action. “Even people who used to want to deny it in the past are saying, ‘Hey, hold on … I’ve had enough of this,'” he said, citing rising sea levels, droughts and an uptick in “once-in-1000-year” storms. “Every night on the news it’s like a nature walk through the Book of Revelation,” he said, referring to the last book of the Christian New Testament that forecasts the end of the Earth. He praises as “an aspirational goal” the Green New Deal pushed by some congressional Democrats but agreed the proposed outline for reducing the nation’s net carbon emission to zero in a single decade isn’t something that will clear Capitol Hill in one sweeping act. 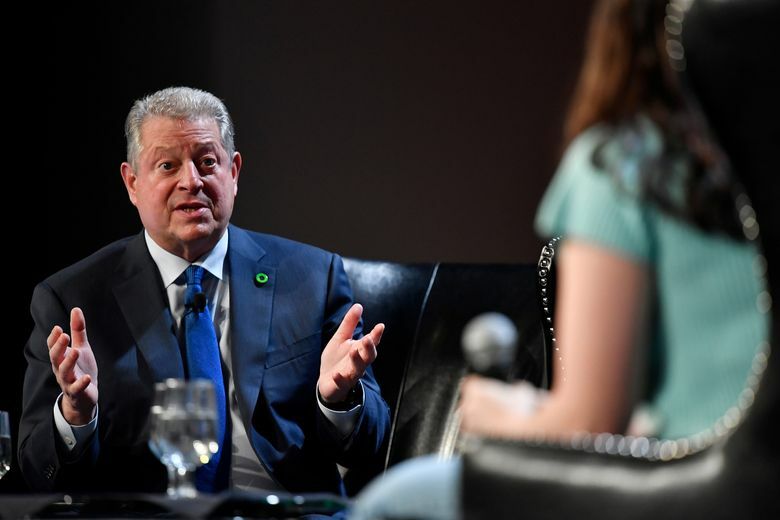 Gore, who as a young congressman in the early 1980s stood out for holding hearings on global warming effects, is clear that he doesn’t oppose the larger legislative effort. “It creates the political space for working out the details of the best way to do it, but the main goals are decarbonize the economy, stop using the sky as an open sewer and create millions of new jobs as we do it,” he said. That could mean, for example, a tax bill with incentives for business and individuals who invest in solar panels; another tax bill ending fossil fuel subsidies; an infrastructure bill prioritizing high-speed rail; a state-aid program for retrofitting existing public buildings; specific requirements for reducing industrial carbon emissions; and increasing automobile fuel efficiency. The heaviest lift likely would be taxes on carbon emissions. Gore dismissed Republican efforts to make climate activists out to be “socialists” because they support such ideas. 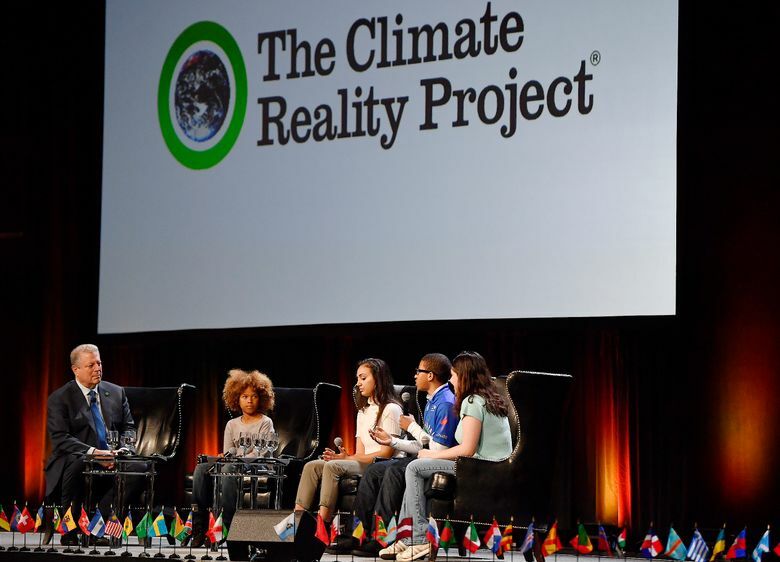 Costs for combating climate change are not insurmountable, Gore insisted. He argued that the first steps are ending tax advantages for existing fossil fuel industries and redirecting that public investment to expanding solar energy. At the state level, he said, lawmakers must grapple with the consequences of letting regulated monopoly utilities continue to expand their carbon footprints while squelching clean-energy markets. Gore’s optimism is striking for a former politician who lost some of his biggest battles on climate. Most notably, as vice president he helped craft the Kyoto Treaty — a forerunner of the Paris Agreement of 2016 — but watched the U.S. Senate refuse ratification, just as Trump has scoffed at the Paris deal. 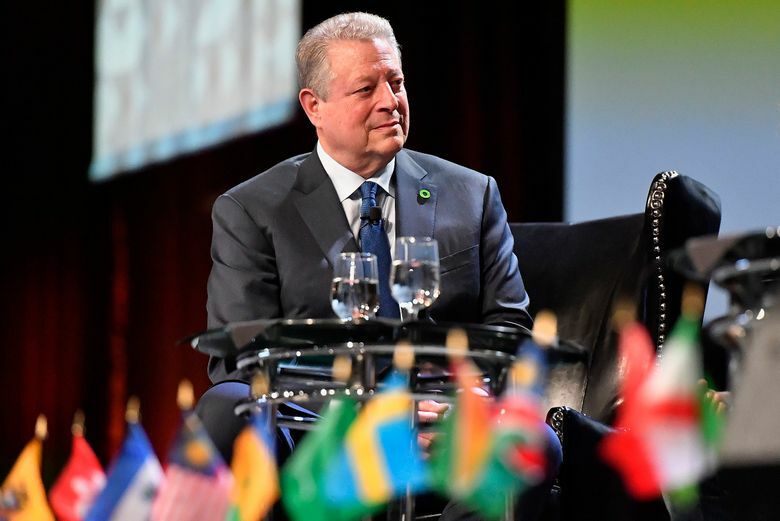 But Gore noted that his conference overlapped with Friday’s worldwide protests that saw angry students in more than 100 countries walk out of classes to protest what they see as the failures by their governments to combat climate change.